The DVD entitled “Mafalda Minnozzi – Live in Italia” is a passionate tribute to popular Italian song and its greatest composers. 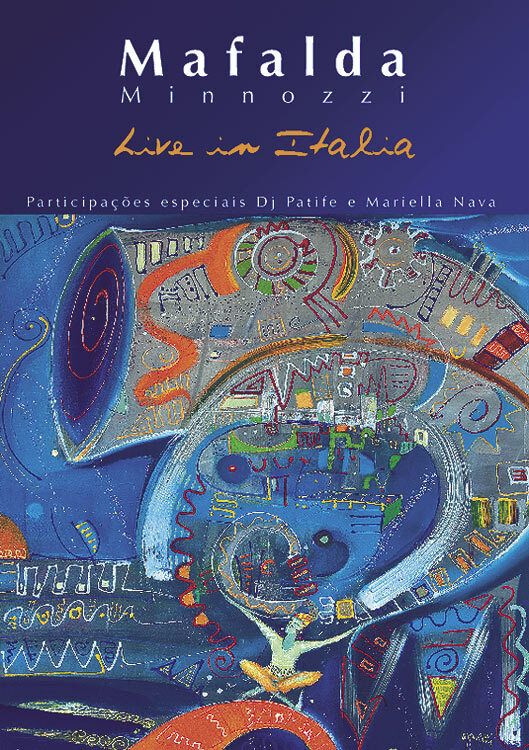 Accompanied on stage by renowned musicians from Brazil, Italy and the USA, Mafalda Minnozzi presents a DVD with a fine blend of tradition and modern Italian songs full of worldly musical flavor. The show was recorded in the city of San Severino Marche in Italy at the historic Teatro Feronia. Two special guest artists were invited to participate in the show: Brazilian Drum and Bass innovator DJ Patife on the song “Parole, Parole” and Mariella Nava, singer and compositor of the song “Per Amore” which was recorded in an emotional acoustic duet of piano and voices. Another special participation was by the Italian painter Guido Boletti. His painting entitled “Arca Musicale” stars on the cover art of the DVD and represents the singer as a symbol of musical integration of various cultures.